Bay Area Nerf: Orange Mod Works Blaster?! Orange Mod Works has announced via their Facebook Page that they plan on designing and building their own blaster as part of their O-Tac Gear line! The time has finally come for us to design and build a blaster and we need your help with the design direction! 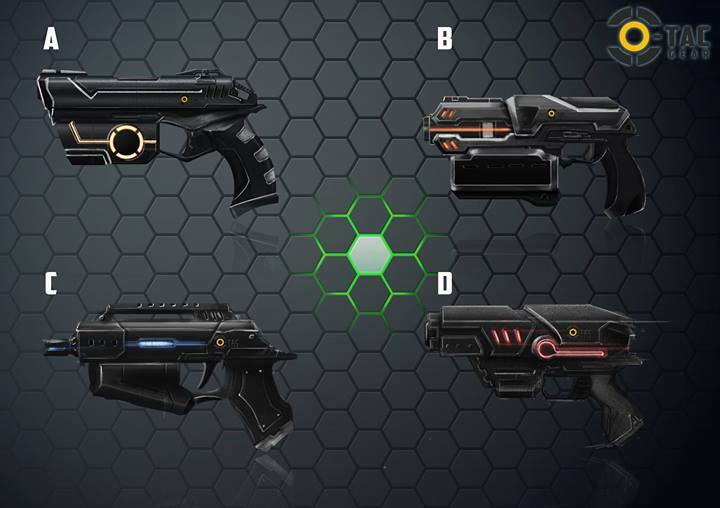 Each of 4 blasters in the posted picture represent a different design aesthetic so without thinking about the actual function leave a comment below with your favorite design or combination of designs. Keep in mind that this is just the initial direction and things like bright colors (HvZ safe) and actual function will come later. They are asking for the community's input with the design. Head on over to cast your vote! What do you think of the idea of OMW blasters? Sound off in the comments below. I know they wanted our opinion purely on aesthetics, but it really is hard NOT to think about function. Function is a rather large reason so many of us choose one blaster over another. With an unknown function, it becomes even harder to choose one. ANY one of these could be flywheel or plunger based. Also, sadly for BFU, none of these seem to be able to utilize the hammer prime. Hopefully these won't take as long (I think they recently purchased a 3D printer) to prototype and test. I really think the only reason they are doing this is because of Xplorer. I like A, the first design. Then again, the Nerf Maverick is a littler, pistol looking firearm. Since it is littler, you can just load 6 froth dashes in its chamber.